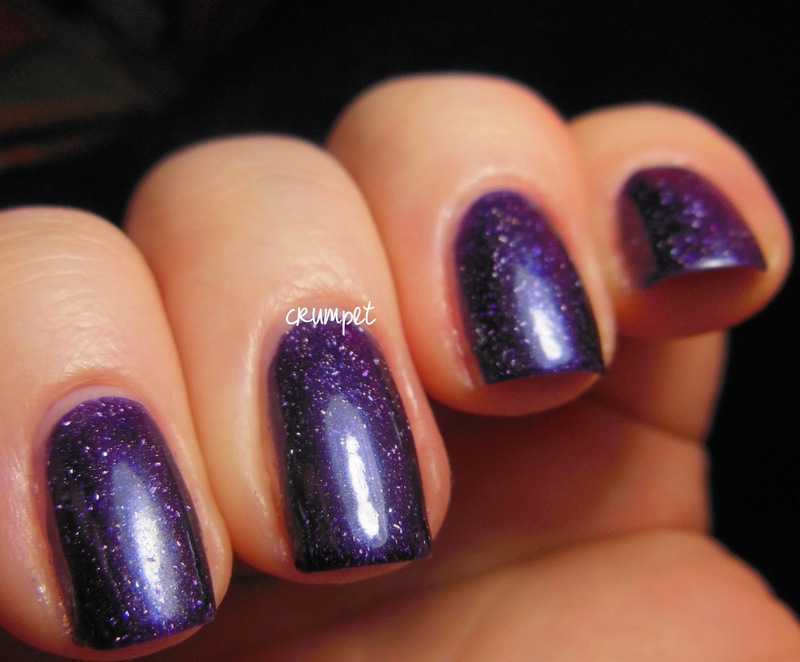 The official piCture pOlish Monday posts are now complete, but as promised, I'm going to spend the next few weeks showing you some other PP babies that are buried in Mount Untried, as well as reswatching 2 classics in a Then and Now post. 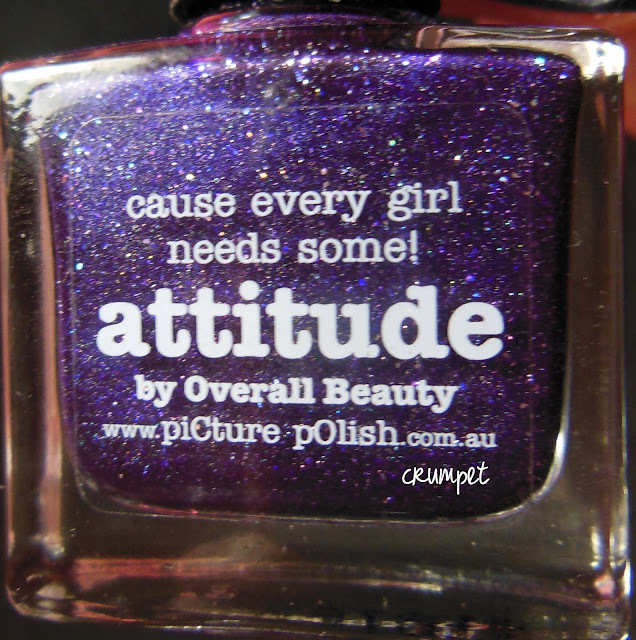 Today it's the turn of Attitude, one of last year's collaboration polishes. This was made in cahoots with the lovely Kim from Overall Beauty. Attitude is a dark purple scattered holo, and as you can see through the photos, she hides her glory in some lights, and hangs it out there for all to see in others. 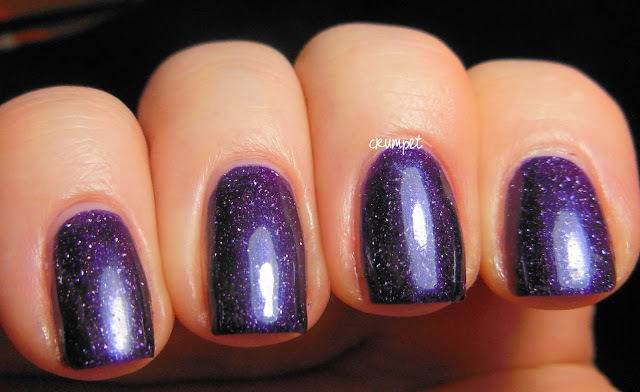 Holo-wise, she reminds me a lot of a-England Lady of the Lake, albeit a couple of clicks darker, and I would suggest that if you own one, you probably don't need both.